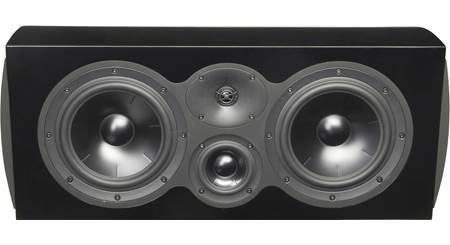 The center channel speaker is often described as the hardest-working speaker in a home theater. 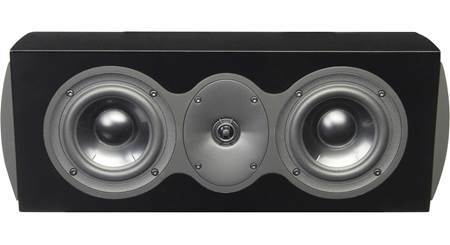 The center channel speaker is often described as the hardest-working speaker in a home theater. 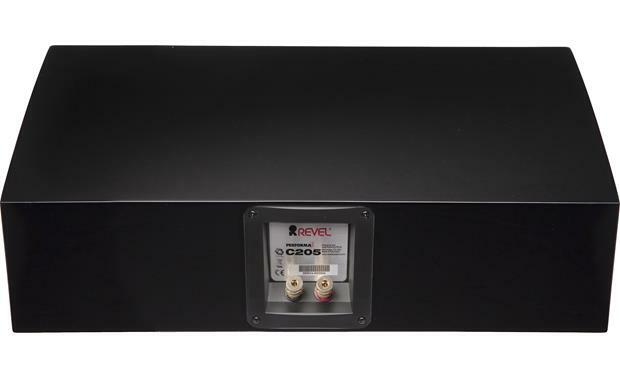 If you're putting together a surround sound system based on Revel's remarkable Performa3 series, the C205 is for you. This center channel delivers clear, nuanced dialogue while anchoring the front soundstage with authority. Revel designs and builds every driver that goes into their speakers. The C205's dual 5-1/4" woofers use aluminum cones that are anodized on both sides with a micro-ceramic composite compound. This reduces resonances that can color the sound. The C205's 1" aluminum dome tweeter sits in Revel's concave Acoustic Lens waveguide, which increases the tweeter's dispersion at higher frequencies, and also helps create a more seamless match between the tweeter and the dual flanking woofers. The result is very smooth, consistent sound both on-axis and off-axis. The C205's cabinet features curved top and bottom walls built from a series of laminated layers. These curved walls are inherently stiffer than conventional box shapes, and are reinforced by extensive internal bracing that eliminate enclosure-induced colorations. The enclosure is sealed to ensure top-to-bottom tonal accuracy and keep male voices from sounding too "chesty." Revel's world-class speaker design and testing facility features an anechoic chamber and the latest high-tech measurement gear. But some of their most critical test instruments are the ears of their trained listening panel. 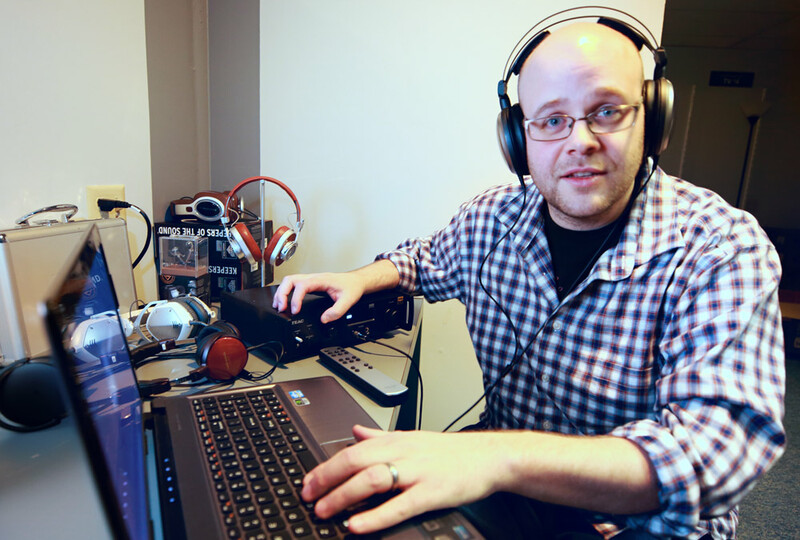 When working on a new design, Revel's engineers set up a series of controlled auditions comparing their design to several competing speakers. Speakers under comparison sit on a rotating platform, and each model is moved into the identical position by a computer-controlled belt drive system. An acoustically transparent screen hides the speakers from the listeners to avoid visual bias. 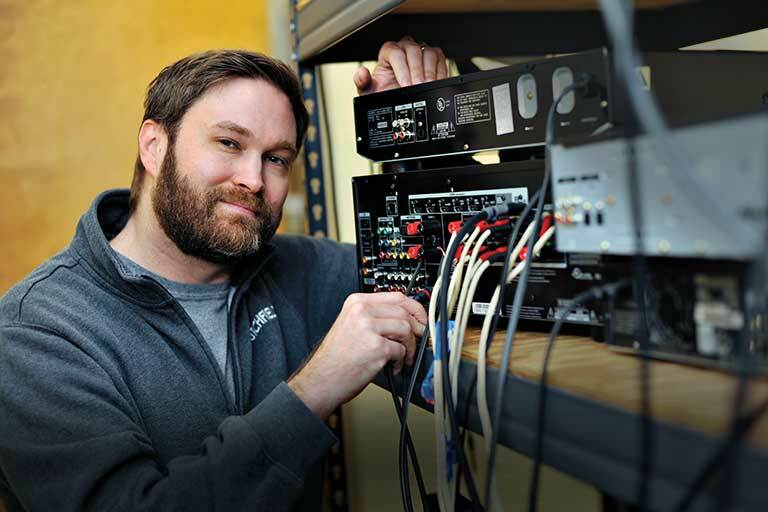 These double-blind listening tests provide an essential reality check, and help the engineers correlate measurements with what listeners actually hear and prefer. 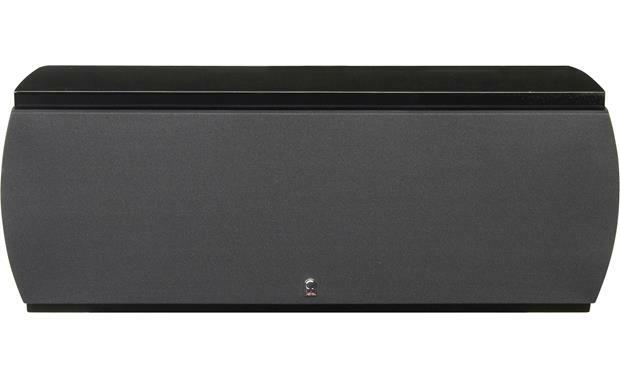 Two-Way Center-Channel Loudspeaker: The Revel by Harman Performa3 C205 center-channel loudspeaker is full-range, two-way loudspeaker that delivers an impressive combination of wide frequency range, uncompressed dynamic range and low distortion across the entire audible spectrum. 1" Tweeter w/ Integrated Acoustic Lens Waveguide: The Performa3 C205 loudspeaker is equipped with a single 1" aluminum dome tweeters that feature an integrated acoustic lens waveguide. The newly designed acoustic lens waveguide accurately matches the dispersion of the tweeter and woofer in the crossover region and provide consistent sound over a wide listening area. 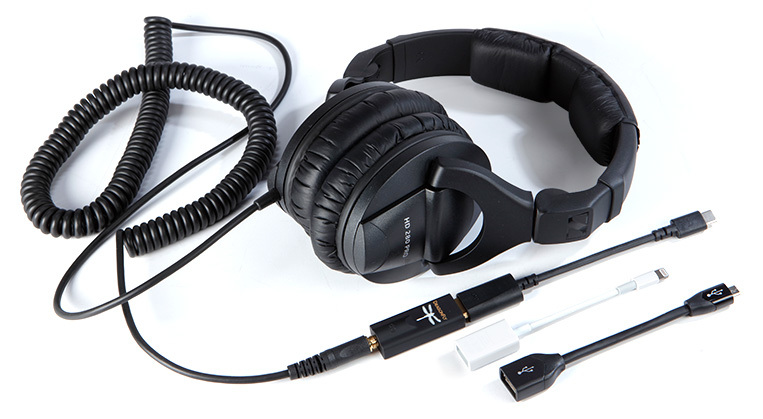 It also generates extremely smooth, far off-axis sound, a critical factor in overall sound quality. Unlike previous waveguide designs, this new acoustic lens waveguide design actually increases dispersion at the highest frequencies, when compared to conventional tweeters. The result is a noticeably improved sense of air and detail, contributing to greater musical enjoyment. Dual 5.25" Aluminum Woofers: The Revel Performa3 C205 loudspeaker features two 5.25" woofers that incorporates several performance-enhancing advances which eliminate common sources of resonance and distortion that can compromise sound quality - even a high volume levels. The 6.5" woofers feature ribbed aluminum cones that achieve ideal, piston-like behavior, cast-aluminum frames for excellent rigidity, and a motor-system distortion-reduction mechanism that stabilize the flux field during operation. High-Order Crossover: A high-order crossover dramatically reduces distortion and dynamic compression in this Performa3 Series loudspeaker. 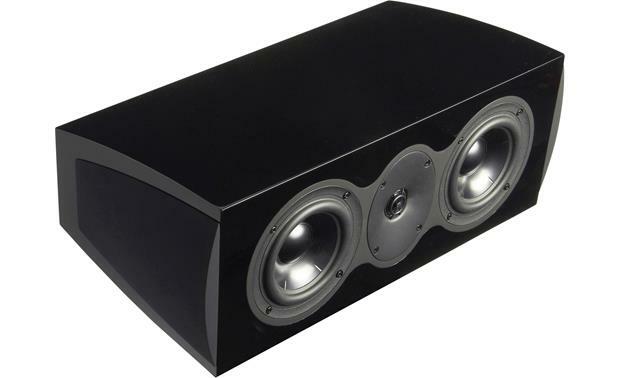 This reduction results in cleaner sound and consistent sound quality over a wide dynamic range. These advanced crossover also optimizes timbre accuracy, enhancing the listener's musical enjoyment both on axis and throughout the room. The carefully selected crossover components help Performa3 loudspeakers achieve exceptional performance. Elegant Enclosure: The Revel Performa3 center-channel loudspeaker's fully-curved enclosure is inherently stiffer than conventional box shapes and are formed with contiguous wood layers that prevent splitting. The enclosure also features strategically-oriented bracing that eliminates the possibility of enclosure-induced coloration. The beautiful, modern enclosure is finished in Piano Black or High Gloss Walnut in a process (developed and overseen by Italian luxury cabinet makers) that exceeds automotive finish quality. A magnetic grille eliminates unattractive hardware on the baffle and also minimizes diffraction and veiling. 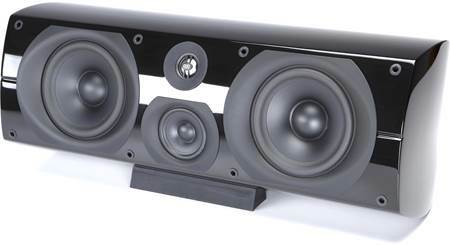 Binding Post Terminals: The C205 center-channel speaker features gold-plated binding-posts that provide secure connection for speaker cables terminated with banana plugs (single only), spade lugs, pin connectors, or bare wire (up to 10AWG). You will need to remove the binding post's rubber inserts in order to use banana plugs. 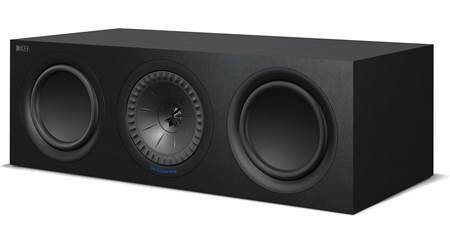 Mounting & Placement Options: The C205 includes two sets of adjustable feet, one short and one long, that let you angle the loudspeaker up or down so it is aiming towards the listeners' ears when it is installed above or below a TV display. The feet screw into the threaded inserts on the bottom of the speaker (with the feet installed, the speaker measures 8.5" tall). 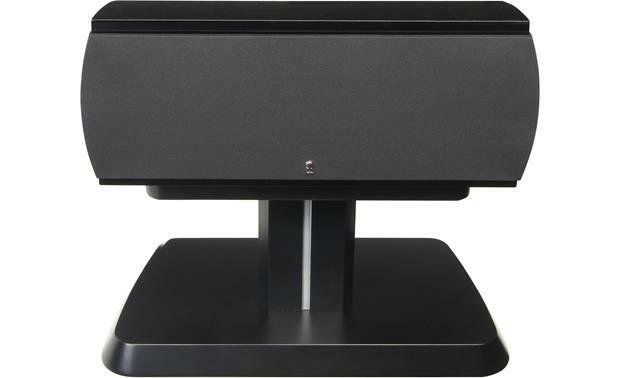 Revel has also designed an optional pedestal stand (sold separately - see accessories tab) for the C205 center-channel that places the speaker at the proper height for seated listeners. There are four M8 threaded inserts on the bottom of C205 for securing the speaker to the pedestal stand. 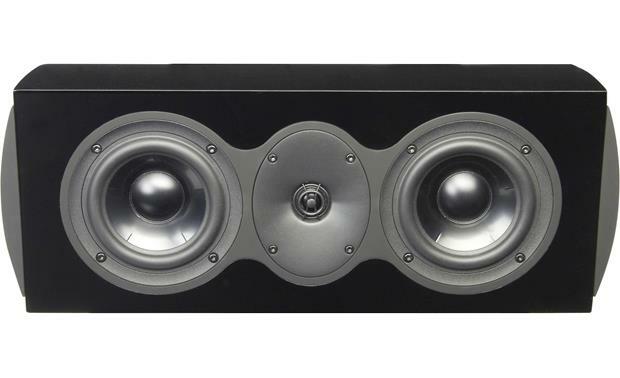 The speaker does not offer any rear-panel threaded inserts, keyhole slots, or integrated bracket for wall mounting. Note: Placing minimal acoustic treatment materials at the room's primary reflection points will reduce sonic degradations. Ideally, acoustic absorbers should be placed at the first reflection points on the front and side walls and either acoustic absorbers or diffusers should be placed at the first reflection points on the rear wall. Check out the Accessories Tab for acoustic panels & treatments (sold separately). Searches related to the Revel Performa3 C205 Center channel speaker.